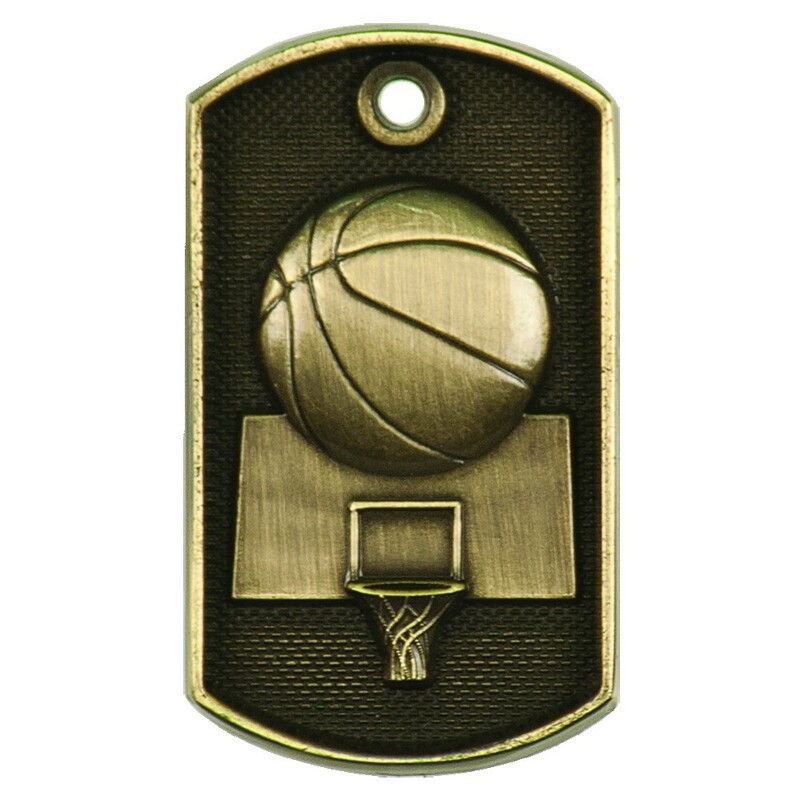 Award our 3-D basketball Dog Tags to the players at your next tournament! 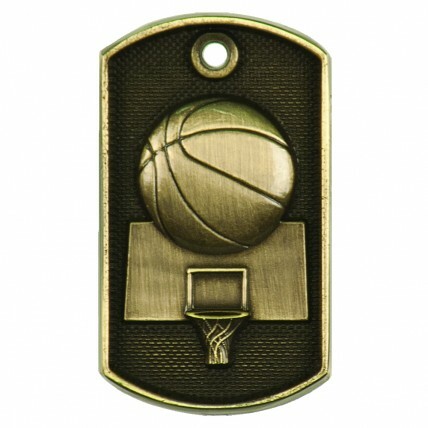 A cross between a traditional medal and a flat dog tag, these 2" metal awards feature a raised relief of a ball and hoop. Engrave the back with three lines of text, which is included in the price. 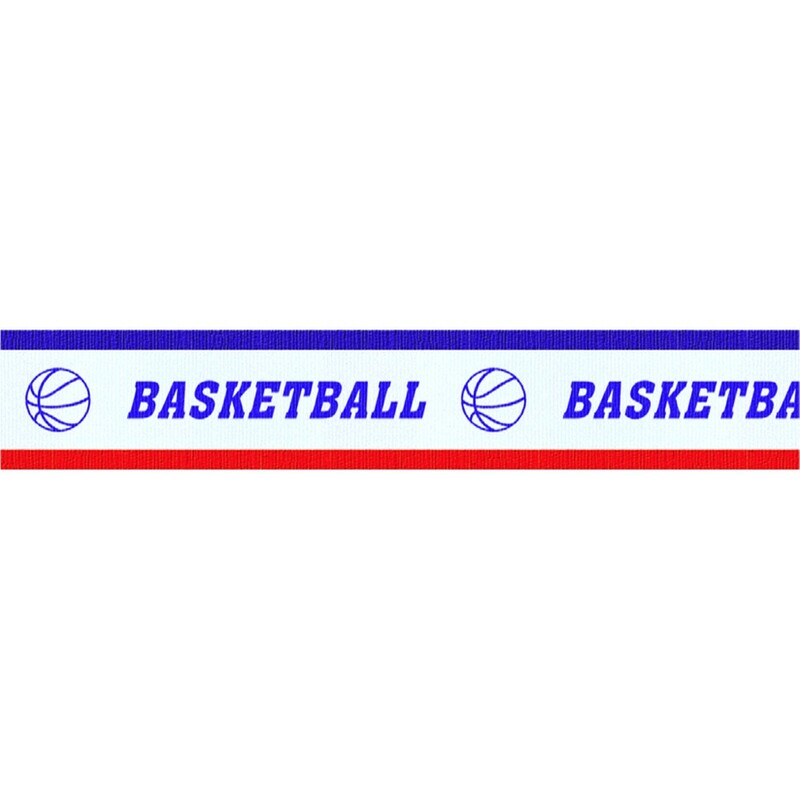 Includes a basketball themed neck drape or beaded neck chain.